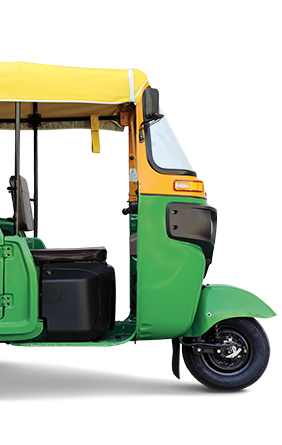 An engine capacity of 470 CC & power of 8.99 ps @3400 RPM gives more coverage than any other three-wheeler vehicle. The excellent coverage thus, gives you the benefit of delivering products like milk, bread and eggs faster and hence earn higher income. A torque of 23NM @ 2000rpm gives you 23% more power to carry heavy loads like cylinders and cement with ease on any terrain. Having oil cooler and aluminum block with iron cast lining results into 3 times more engine life of 100,000 km than any other three- wheeler vehicle. Therefore, make huge savings on maintenance cost. Having an engine life 3 times more than any other three-wheeler because of it's dry clutch leading to a life of 35000 Km*. The same gives a trouble free and power packed clutch which is equal to heavy vehicles like trucks. 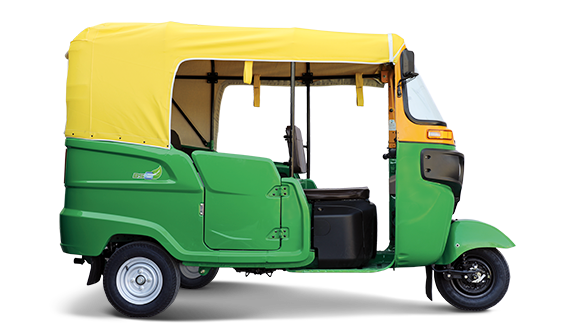 Bajaj Maxima is powered with heavy duty CV shaft like medium commercial vehicles. It runs smoothly up to 100,000 Km* which is 5 times more than the competition. A front twin shock absorber and a hydraulic rear shock absorbers leads to no damage to the products in transit. Lesser noise and vibration gives you a comfortable driving experience.